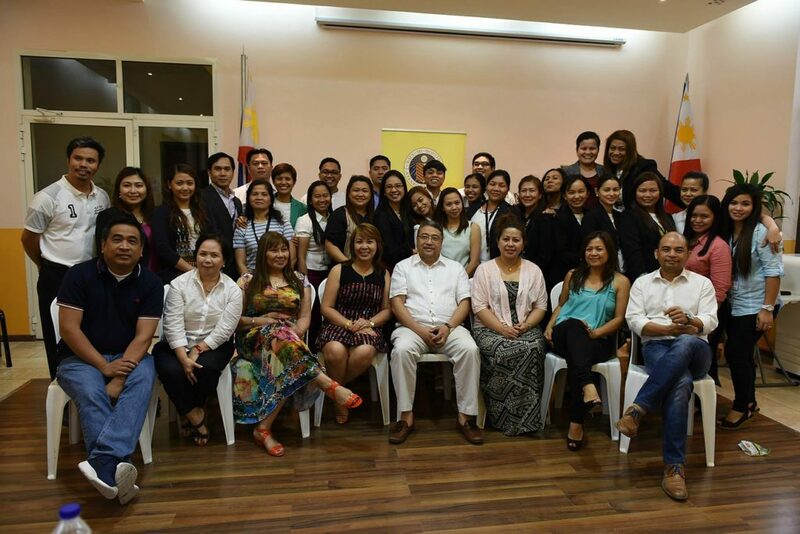 105 Overseas Filipino Workers (OFWs) have successfully finished an intensive six-month Leadership and Social Entrepreneurship (LSE) Program from the Ateneo School of Government (ASOG). Among them are six household service workers (HSWs). The six HSWs were able to avail of the course through sponsorship. They were Clarita Cabanizas, Cecilia Evangelista, Joan Francisco, Cristy Guinto, Jocelyn Macam, and Aphrodita Rivera. Evangelista, 38, who works as a nanny, delivered her speech stressing the benefits she gained from the course such as learning how to free herself from bad debts and basics of putting up a small business which she intends to do when she comes home on April of next year. Dr. Mario Villaverde, associate dean for Academic Affairs of Ateneo de Manila University School of Government, Philippine Consul General Paul Raymund Cortes, along with Labor Attaché Ofelia Domingo and Marian Celeste Carella, chair of the Philippine Business Council – Dubai and Northern Emirates (PBC-DNE) handed the certificates to the graduates. The LSE program launched in 2008 in Rome, Italy by the Ateneo de Manila University, initially intended for the HSWs all over the world. About 800 HSWs have already graduated from the program across the globe and many have started their own business and went home to the Philippines for good.